Mr Jadhav, 47, was sentenced to death by a Pakistani military court on charges of espionage and terrorism in April following which India moved the International Court of Justice in May this year. Islamabad: Kulbhushan Jadhav's wife and mother will visit Pakistan on December 25 to meet the Indian prisoner facing death row in Pakistan, Pakistan's foreign office said today. They will arrive by a commercial flight on December 25 and leave the same day. Indian deputy high commissioner will be accompanying the family. "India informs that the mother and wife of Kulbhushan Jadhav will arrive by commercial flight on 25 Dec and leave the same day. Indian Deputy High Commissioner in Islamabad will be the accompanying diplomat," Foreign Office spokesman Mohammad Faisal tweeted. Pakistan on December 20 issued visa to Mr Jadhav's wife and mother to visit Islamabad and meet him. Pakistan had agreed that a diplomat from the Indian high commission in Islamabad would accompany the visitors. 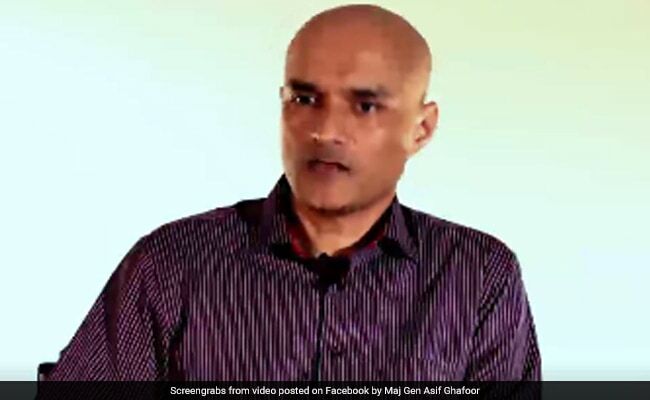 Mr Jadhav, 47, was sentenced to death by a Pakistani military court on charges of espionage and terrorism in April following which India moved the International Court of Justice in May this year. The international court had stayed his execution on India's appeal pending the final verdict by it. Kulbhushan Jadhav's family had applied for visas last week. Pakistan had repeatedly denied India consular access to Mr Jadhav in the past on the ground that it was not applicable in cases related to espionage. It alleged that Mr Jadhav is not an ordinary person as he had entered the country with the intent of spying and carrying out sabotage activities. Pakistan claims its security forces arrested Mr Jadhav alias Hussein Mubarak Patel from its restive Baluchistan province on March 3 last year after he reportedly entered from Iran. India, however, maintains that Kulbhushan Jadhav was kidnapped from Iran where he had business interests after retiring from the Indian Navy.